Royal Ascot is one of my favorite events of the British Summer Season. I love the pageantry of having to dress for the races, although it can prove difficult, especially if you are under the Royal Enclosure dress code, to find the perfect outfit. Having followed Erdem’s work recently and seeing him speak at the Vogue Festival earlier in the year, I decided that it was time to own one of his pieces. I fell in love with this black and white lace number the second that I put it on and knew that it would be perfect for both Ascot and so many other events to come this summer. While finding the dress was easy, finding the hat is always the challenge. Well, I am going to let you girls in on a little secret. Forget spending a fortune buying a hat, it’s all about renting them! I personally think it’s bonkers to spend hundreds, if not thousands, of pounds on a hat, that let’s face it, you’re probably only going to wear once since they typically are super memorable. One of my closest friends once told me that she wore the same dress to three weddings in a row, but just changed her hat. I asked for her secret and she pointed me towards Hectic Hat Hire in Fulham. The name is quite suitable because the place is CRAZY, bursting with every color had that you can imagine. They offer hats in a range of prices, and I’ve rented from them a bunch. 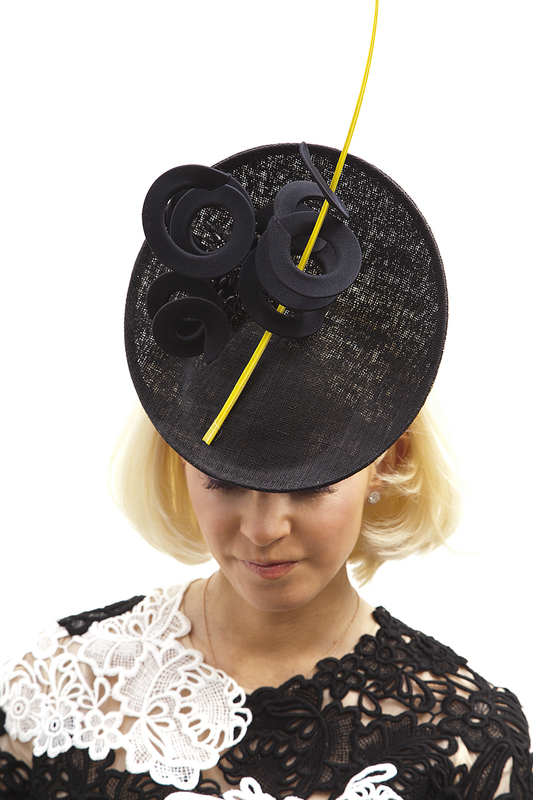 The minute I spotted this Philip Treacy I knew it would be the perfect match for Ascot. Although Saturday ended up bucketing down with rain, we had an incredible day and I already can’t wait for next year… bring on Wimbledon!!! Dress: Erdem. Clutch: Bottega Venetta. Sandals: Givenchy. Hat: Philip Treacy available to rent at Hectic Hat Hire.